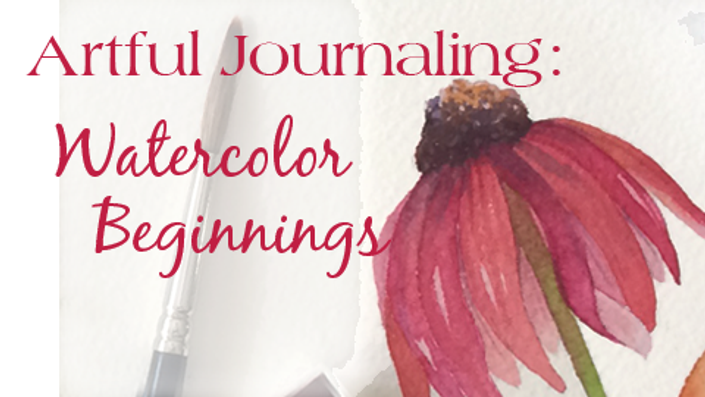 Learn to use watercolor for colorful pages and more! NEW! Introductory Price (25% OFF) - $48! Creating bright, beautiful, art journal pages is fun to do and easier than you might think! 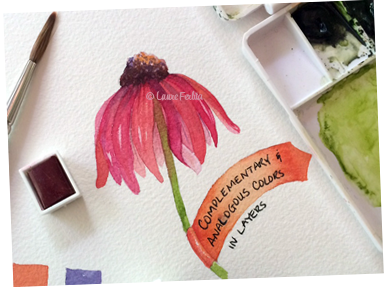 Are you wondering where to begin when it comes to splashing watercolor onto your artwork?! The AJ: Watercolor Beginnings course will help you to build a solid foundation for watercolor journaling including brushes, paints, setting up a palette, different types of paper, sketchbooks and creating with watercolor as well as some easy exercises to help ease you into the world of watercolor and art journaling. You'll be making gorgeous, colorful pages in no time! You'll begin to build a visual vocabulary as well as lay the foundation for the skills you'll need to be able to add color to your pages confidently. 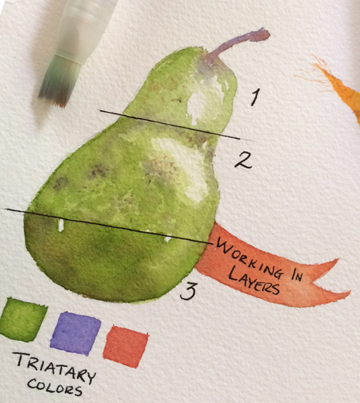 There are many different approaches to watercolor. We'll concentrate on sketching in watercolor, creating background washes, using permanent ink with our washes as well as creating shading and volume. You'll be able to see the differences between mixing color on the palette, on the page and layering. 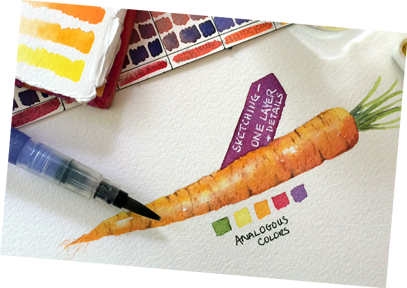 We'll take a look at the differences between watercolor paints, pans, pencils, and crayons. After we get a little further into the course, we'll also look at creating texture in watercolor with simple tools you have lying around the house! With nearly 20 videos and dozens of pages of information, you'll be ready to add color to your pages in no time. This course will be easy, breezy and fun! We'll play, explore and take the fear out of using watercolor! Introductory Pricing is available NOW through December 2016—register today for only $48! (Regular price - $64) Sign up today to take advantage of this special introductory pricing! What Should I Buy Before Class Starts? All materials will be available immediately. There are over 25 videos and dozens of pages of information on watercolors and how to use them. The course is self-paced and you decide when to start and when to finish! You are able to watch the video demonstrations as many times you'd like. You will have 365 days with materials from the date of your enrollment. We would never want you to be unhappy! If you are unsatisfied with your purchase, contact us in the first 14 days from the date of purchase and we will give you a full refund.